Chunks of Apple and Cinnamon Danish mixed into Creamy Ice Cream! This recipe has easily become my new favorite. Liquid Barn Vanilla Ice Cream seriously blows TFA VBIC out of the water. V1 & V2 - This was my first go around with LB VIC and I'm very impressed. For my ice creams I normally go with TFA Vanilla Swirl and TFA VBIC, a combo Foment_Life introduced me too. I love the way Vanilla Swirl brings a bit of the soft serve sweet vanilla ice cream to the table so I kept with that even though going with LB VIC this time. The two of them work really well together. V1- My original Apple blend for this recipe was Cap Green Apple at 1.5% and FA Fuji at 2.5%. My original intention for the apple part was to get the the sour/tang of the green apple while still have the Fuji be the main apple flavor. Testing out the first run over a few days, the Cap Green Apple seemed to clash with the rest of the recipe so I decided to pull it out. V2- I decided to pull the Cap Green Apple all together and bump FA Fuji to 3.5%. Though not what I exactly wanted at first, I actually liked this version far far more. V1 - Cap Cinnamon Danish Swirl is the star of this aspect of the mix. While it does a bang up job of having the perfect danish/bakery note plus cinnamon, used to high it and overpowers the other parts of the mix. Keeping it somewhat low gave me the pastry aspect with a touch of cinnamon however, not enough to come through the Ice Cream and Apple. V2- With the CDS in V1 not exactly being as pronounced as I was hoping for, I upped it .25% and paired it with just a touch of FLV Rich Cinnamon (I mean literally....A TOUCH) to help boost the cinnamon up. And it did it perfectly. Overall thoughts on each version. V1- Ice Cream end was perfect, rich and creamy, with a hint of soft serve vanilla tossed in there. Apples, not right, Cap Green Apple didn't blend too well, has to go. While the CDS was okay, it still needs a bit of help to get to where it should be. V2- Hell yeah. Without a doubt blows V1 out of the water. No contest. The Apple and Cinnamon play so well off of eachother. I was 100% content with the recipe. V3- Now...here is where it gets good. I decided to bounce the recipe off of AlfredPudding for some feedback. While he liked it, he came back with some thoughts. He recommended bumping up FLV RIch Cinnamon from .5% to .10%, dropping FA Fuji just a hair and adding some Pear in there to boost the Apple a touch more. JACKPOT. After making those adjustments I could not be happier with the outcome. I'll say this ad infinitum, if it has FLV Rich Cinnamon I'm into it. 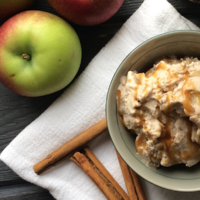 It's apple-cinnamon danish ice cream, stop reading this review and mix it up. The LB and Vanilla Swirl make a tasty cream base. The CDS, pear and fuji are a tried and true apple cinnamon combo. The rich cinnamon helps boost the cinnamon in CDS excellent job and thanks for sharing.